"How can we be sure that the applicants have the specific knowledge we need?" Recruiters or even hiring managers cannot be familiar with every possible skill set for every position. 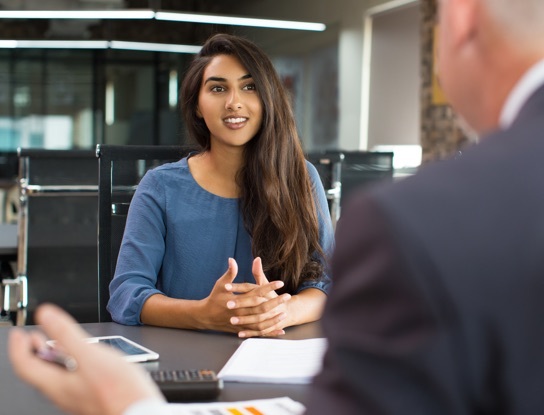 This results in the problem of evaluating a candidate’s potential, without fully knowing if the candidate has the role-specific knowledge which allows them to successfully do the job. Our Accounting and Finance tests will tell you what they know and, more importantly, what they don’t know. How Will I Know Which Tests To Administer? Our team can provide guidance, based on your description of the job, the test topic lists and your review of any actual test (if desired). Tell Me More About The Questions. Questions are multiple choice and short answer format, requiring test takers to answer knowledge questions as well as calculate mathematical answers to common accounting problems. Each test has approximately 30-40 questions. These tests have been created by subject matter experts who identified the most important topics and tasks in the accounting and finance fields. Questions include real-world examples and illustrations to accurately measure a candidate’s abilities. How Will The Score Reports Be Displayed? Score Reports are emailed immediately to the Test Administrator (not the job applicant). The Score Reports will be in-depth, providing scores and detailed descriptions of a candidate’s knowledge. Overall scores (by percentage) will be followed by scores for each topic. Pricing is generally on a “per test” basis and larger quantities are eligible for volume discounts. Here's the link to the pricing. I’d like to see a sample and/or have more questions. What do I do? Just complete the form and we'll send a sample (please list desired test in the form). For immediate answers, call our friendly team at 1.800.836.1901. Ready to order right now? Just click below for our pricing page, with order forms for immediate access!